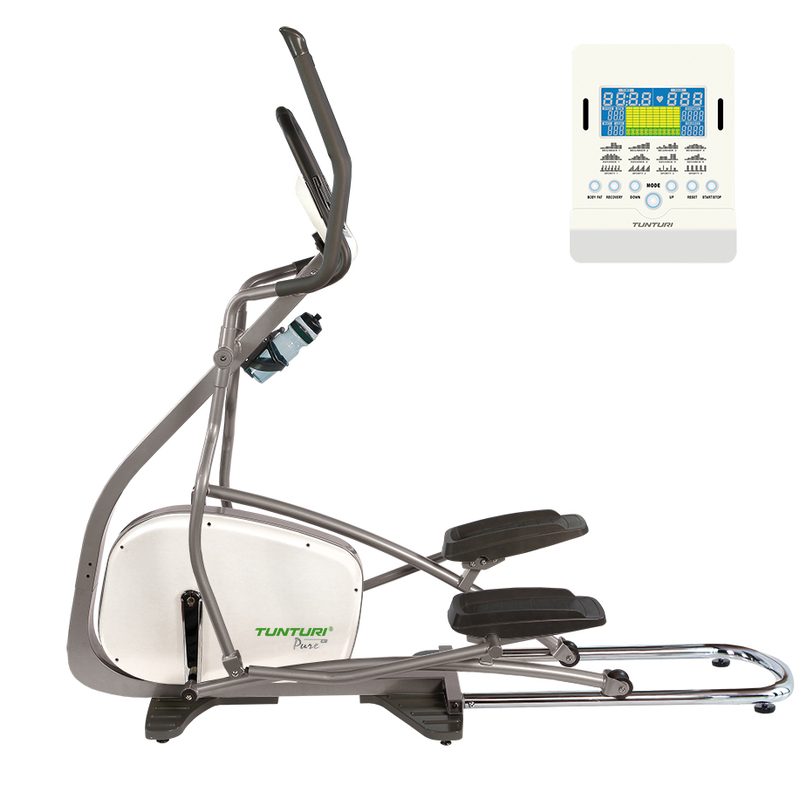 The Elliptical Cross Trainer from Tunturi Fitness, known for their home elliptical cross trainer models now offers the even tougher and long lasting Pure light commercial range. 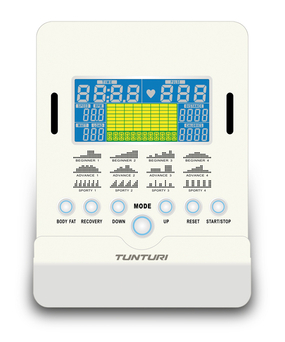 The Pure range offers a number of Tunturi’s proudest products. 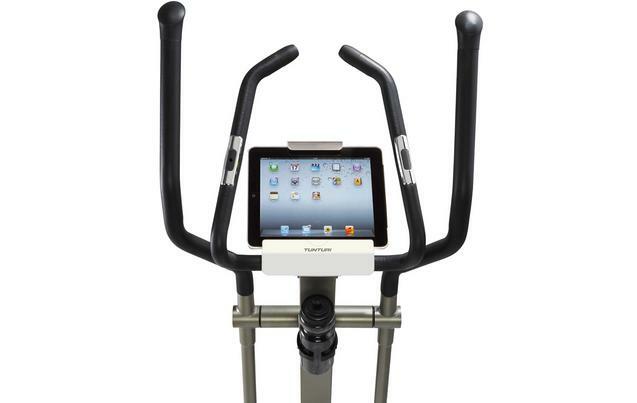 The range includes upright bikes, recumbent exercise bikes, treadmills and of course elliptical cross trainers. Within each range you will find the entry levels starting at 4.1 and the more commercial models denoted by a higher number such as the 6.1 range. Tunturi offers you two console options, with or without your tablet. The basic option includes a 6 inch console screen that provides feedback on time, distance, calories burned, RPM and heart rate. The iConsole feature allows you to download a specialised Tunturi app onto mobile devices such as iPads and tablets. This is the rear drive version which gives a slightly higher stepping movement compared to the flatter skiing type motion of the front drive elliptical cross trainer. 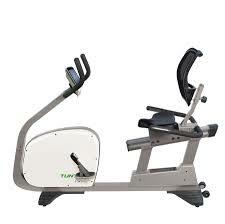 The state of the art machine also offers wireless,(telemetric) heart rate as well as contact heart rate. 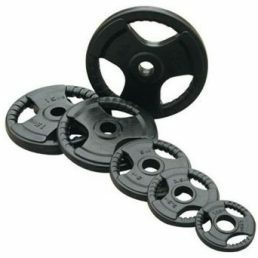 Read more about fitness equipment programs here. Of course, add to this the exceptional 15-year frame warranty from one the top manufacturers of fitness equipment on the planet. See more elliptical cross trainers here. 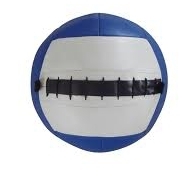 Please Note: This piece of equipment will not make you start talking in a funny voice! That’s just a very poor computer voice program! The generous 19 inch stride length means a longer motion, comfortable movement and a quiet action. One of the main difference between a rear drive elliptical cross trainer and front drive, (such as this one) is the movement of the feet and the “stride length”. Stride length is how far your feet move away from each other before beginning the return journey. A long stride length such 19 inches means that your feet will be 19 inches away from each other at the maximum elliptical stride. In the same way that a spinning bike benefits from a heavy flywheel, so do does an elliptical trainer need a heavier flywheel. The 6 kg flywheel of the elliptical trainer ensures a smooth and quiet gliding movement. Nothing is more frustrating than an elliptical trainer that offers a minimum number of resistance levels. Fat burning and fitness levels increase incrementally and so should your training. With 32 resistance levels, you are assured of just that ability to increase your workload the way that your body works. 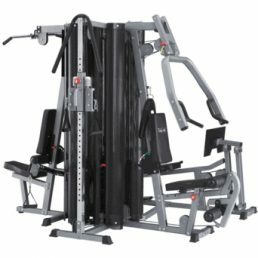 This elliptical resistance system is based on magnetic resistance which is more expensive to create and cheaper for you in the long run. If you enjoy watching TV or listening to music when you are training then you really will appreciate the quite effect of the magnetic resistance system, especially when compared to the noisier supermarket systems which often use air resistance. When it comes to elliptical trainers people often don’t associate any danger with them as they do with treadmills. 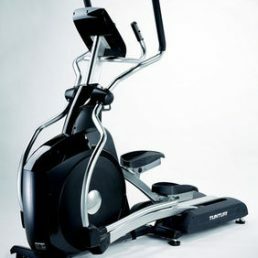 However an Elliptical trainer does have moving parts and therefore can create a hazard exceptionally to little fingers. Another advantage to the magnetic control resistance system is that the drive system is fully enclosed. This means that unlike many of the air resistance elliptical trainers there is no chance of children hurting their fingers. Everybody has a different reaction to exercise. Do you know where your heart rate should be for maximum fat loss, endurance or just to improve your fitness levels? To keep burning fat and accelerating your fitness improvements you can also benefit from the Tunturi HRC, (Heart Rate Control) programs which help you maintain a target heart rate throughout the workout. With the heart rate control program you no longer need to keep changing your resistance levels manually, the elliptical trainer does that for you! Simply set your parameters and target fat loss, cardio or fitness programs. The heavier you are then the more strain you put on the elliptical trainer. This is why so many of the supermarket variety fitness machines have such a limited maximum user weight; they are not built to be used on a long-term basis. With a maximum user weight for this elliptical trainer of 135 kg, almost anyone can enjoy a great workout. Are you heavier than 135kg? No problem! 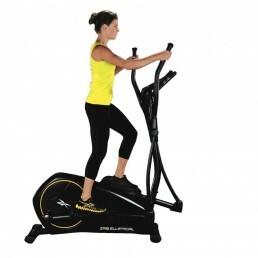 Have a look at some of our other great elliptical trainers here! Workout programs on any cardio piece if gym equipment such treadmills, exercise bikes and elliptical trainers add variety and motivation to any workout program. 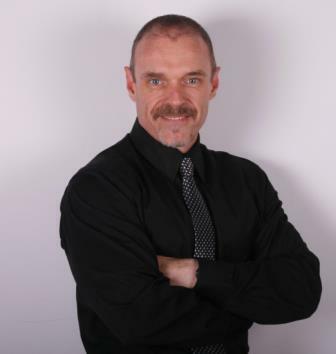 If you have read much about Tunturi treadmills, bikes and elliptical trainers then the one thing that will have stood out for all serious buyers is the massive warranty that comes with the units. This elliptical comes with a 15 years one the frame, 2 years on the electronics and all other parts, and 1 year on all labour. That is significantly more than most brands which are in the region of one year. 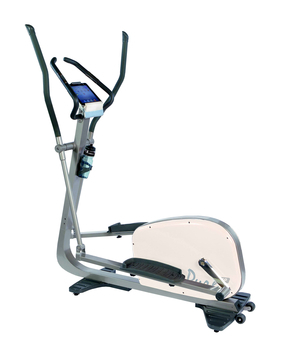 See more of our superbly priced and world quality branded elliptical cross trainers here! What else? This is one of the smoothest elliptical cross trainers that I have ever used. The mechanism is the same as a spinning or studio bike.